Hat parade ... — Tante Sophie et Cie.
Four of them done and there are leftovers ... will be making more ... but for now that's that ... from our "In The Loop" project at Brookfield Place in NYC. 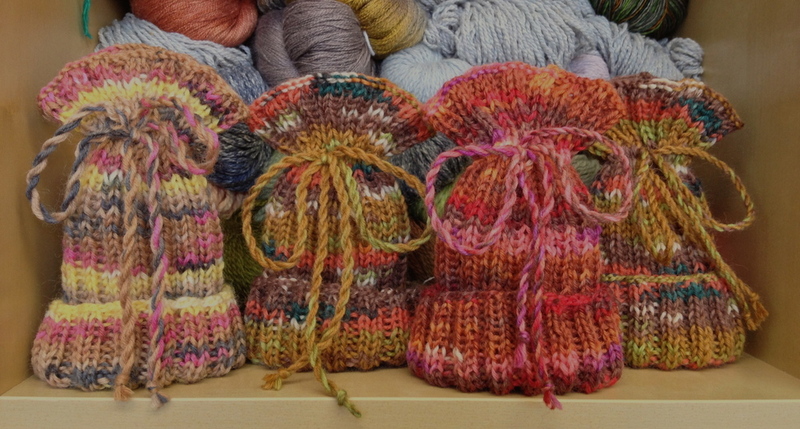 "Paper bag" newborn hats made with sock yarn ... one skein makes 4 or even 5 hats! Will be making some EBTKS (everything but the kitchen sink) ones with the leftovers that are returned next month and we will have a stack of them! Got the yarn online from Little Knits.